I’ve taught hundreds of people how to meditate and there are some common questions that many people ask. Meditation and mindfulness have become increasingly popular and there is definitely a lot of misinformation out there. Based on my own practice and experiences, here’s what I think is helpful for you to know about meditation and mindfulness. Meditation is a name given to the many techniques that turn your attention inward. There are many types of meditation – each one asks us to engage or focus our attention. You’ve probably heard of these: visualization, contemplation, walking, chanting, watching your breath, silent mantra meditation and mindfulness. There are many others. Meditation techniques have been practiced for thousands of years. 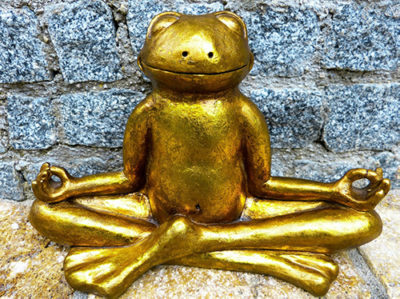 Meditation was originally practiced so one could deepen their understanding of the sacred and mystical forces of life. Though meditation may be spiritual for some, the practice is not necessarily religious in nature. Meditation is now becoming mainstream, probably due to the high amount of stress our modern day lives can create. It is practiced by millions of people around the world. Meditation is not about forcing our mind to be quiet; rather it’s a process to rediscover that quietness that is ever-present. Behind the mental chatter, there is silence, pure awareness, which is not disturbed by thoughts of the past or concerns about the future. Meditation can be easy if you are taught correctly. It is not about stopping thought; that would be impossible. Meditation is going beyond or transcending thought to find the quiet that is already there. Whichever type of meditation you choose, done correctly, it allows your body to reach a naturally occurring rest state. According to research, this rest is different from sleep. It is much deeper, and at the same time, you are more alert. Many people meditate to experience inner peace and to find meaning and purpose in their lives. 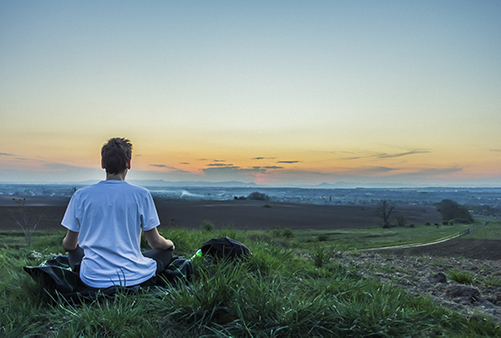 For a growing number of people, perfectly healthy people, meditation is used as a means of stress reduction. Do you have a busy mind? Are your thoughts based on old, habitual ways of thinking? Do you have difficulty coping with the stress in your life? Do you want to feel peaceful and calm? Do you ever feel so lost in your thoughts that you are missing out on the present moment? Do you struggle with cravings for drinking, eating, shopping or other things? Do you want to be creative, less distracted and more focused? Do you want to look and feel more vital? If you answered yes to any of the above, it may be the right time to learn to meditate. Meditation is recommended by almost every health professional because it provides a proven way to give your mind and body a rest and to reduce stress. The mind is a powerful tool that has a huge impact on the health of our bodies as well as the quality of our lives. The single most effective way to detoxify the body is to detoxify the mind. Millions of people are now meditating and research has demonstrated the physical, social, emotional, psychological and spiritual benefits of meditation. In this fast-paced world where stress is the new “normal” people are becoming increasingly inspired to learn to meditate. Perhaps the greatest gift of meditation is the sense of inner calm and peace it brings into your daily life. There are thousands of meditation techniques, and all of them were appropriate for someone, somewhere, at some time. There are many subtle differences in the rules each meditation tradition advocates, but these are just guidelines of what worked in a given situation. They are not carved in stone. There are, however, two elements to any meditation technique: how you pay attention and what you pay attention to. The ‘how’ is usually gentle, restful, steady attention, and the ‘what’ is something simple- like breath. In meditation, you rest attention in a sensory perception, take delight in it, then hang on for the ride. I was personally drawn to a method that included a number of techniques that are based on ancient practices and current research but are not aligned with any particular spiritual or religious beliefs. I wanted to practice a method of meditation that was simple, effective, and universal. That was the main reason that I decided to become certified to teach the Simple, Easy, Every, Day Meditation taught at the McLean Meditation Institute. 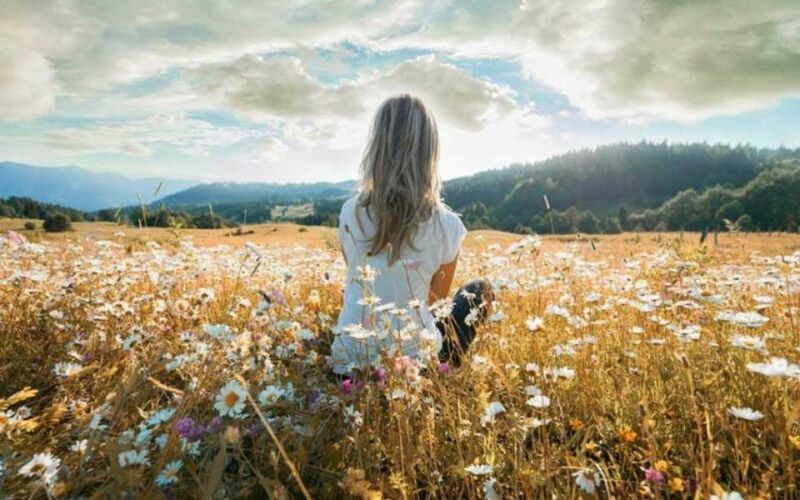 The Simple, Easy, Every Day Meditation ™ or SEED Method includes breath awareness meditation, body awareness technique, heart-centred breath, self-inquiry practice, silent sound (mantra) meditation, mindfulness practices and peace finder practices. All meditations that silently use a mantra have a similar goal- to take your awareness beyond thought, into pure silence, pure awareness. You’ll expand your awareness and explore your essential nature beyond your roles and responsibilities. At the same time, you’ll be reducing stress in the nervous system so you can face your day with a fresh attitude and calmer manner. This powerful yet simple meditation method can be learned in as little as three hours and is a perfect method for anyone- whether you are a beginner or want to get back on track with meditation. Anyone can learn to meditate. If you have a thought, you can do it and you don’t have to change a thing- not your diet, your religion or beliefs- nothing. I’ve created “A Beginner’s Guide to Meditation” that you can download and refer to for the basics of starting a simple 5-minute meditation practice. 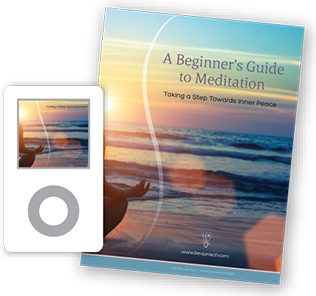 In the guide, I give you a link to a recording to listen to as well as access to my favorite meditation app which has literally thousands of guided meditations for free. You can read the long version on this website or download the guide for your own personal use or to share with others. I also offer private meditation coaching to help you set up a personalized practice. You can learn more about that here. If you’re more of a group person and love to learn with others, I offer group “Learn to Meditate” sessions. You can learn about upcoming workshops here or contact me to facilitate a private workshop for your own group.